Changing What's Normal - Ian Berry's Blog: "The best way to bring home the bacon is to raise our own pigs." "The best way to bring home the bacon is to raise our own pigs." Please read more from Scott here. 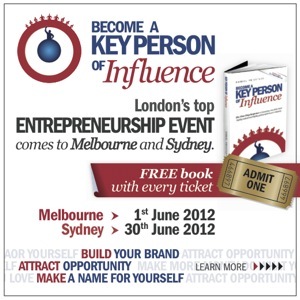 PS If you live in Melbourne or Sydney please consider attending the Key Person of Influence event. I have read Daniel Priestley's Key person of influence book, applied it's great content in my own way and got to know the folk who lead the business here in Australia. I highly recommend this event. I am going in Melbourne myself! It will be a great day to learn how to bring home your own bacon!